Let’s talk for a moment about Gene Roddenberry’s sci-fi solution to racism. I know I’ve talked about Roddenberry before, but the guy is a personal hero and current events make it necessary to speak out again. The NYT is talking about the worrisome trend of ‘racist science fiction.’ Being a person who loves sci-fi, it bothers me to think that my beloved genre could be co-opted to divide people. At the same time, one can see how powerful an idea can be when persons perceive that it’s time has come. But what if that idea is horrible? What if that mindset can lead to hate, murder, and genocide? That’s what frightens me, and I think it disturbed yesteryear sci-fi creators like Gene Roddenberry and Rod Serling as well. 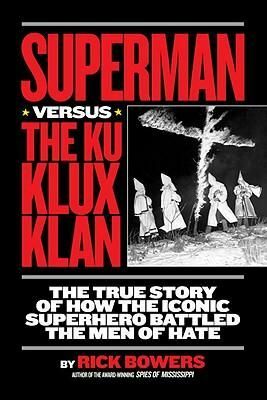 ‘Superman,’ ‘Star Trek,’ and ‘The Twilight Zone’ dealt with anti-facist, anti-racial themes in their time. Rather than taking the issue head on, which would have resulted in failure, they spoke directly to people they knew would listen: The kids. Superman himself was responsible for a significant victory. In addition to defeating Lex Luthor, Superman defeated the Klan where normal, law-abiding citizens could not. He didn’t just leap tall buildings in a single bound, he jumped over impossible hurdles in human perspective. The point that science fiction taught us is simple, and powerful: We can live without racism. We can treat each other with respect and dignity. We can eliminate imaginary boundaries to fellowship and kindness. We can use the power of the mind, and spirit, to create a decent world. I’m not sure what this means for me, personally. What I do know is that my sci-fi is about a future that just *is*. Even if I’ve said it before, I’m going to say it again. And as long as it needs to be said, I’ll keep saying it. Maybe one day, we can move onto topics of greater interest. My name is Jackson. I am a private person who lives, eats, and breathes sci-fi. When I'm not talking about my writing projects, I talk about stuff related to the science fiction genre and community. I'm working on a novel and sometimes I give away free short stories and wallpapers. Plus, I like cats. Deep in the forest, where the air smells green and fresh. That's where I buried the remains of you. I cried as the shovel pierced the earth, sobbed as I placed you inside the hole, and wept when the last piece of loam fell into place. Here is where you'll sleep. Here is where my heart will stay until it is time to join you. I couldn't save you. At least I can give you the beauty you never got to see. Please forgive me, son. @ me on Twitter or Reddit - tell me you saw the story. That's how I'll know we're friends.